Apples challenges the gaming subscription market with its own service. During this year’s Apple Keynote event in Cupertino, California, Apple unveiled a new direction for the company in their gaming division. 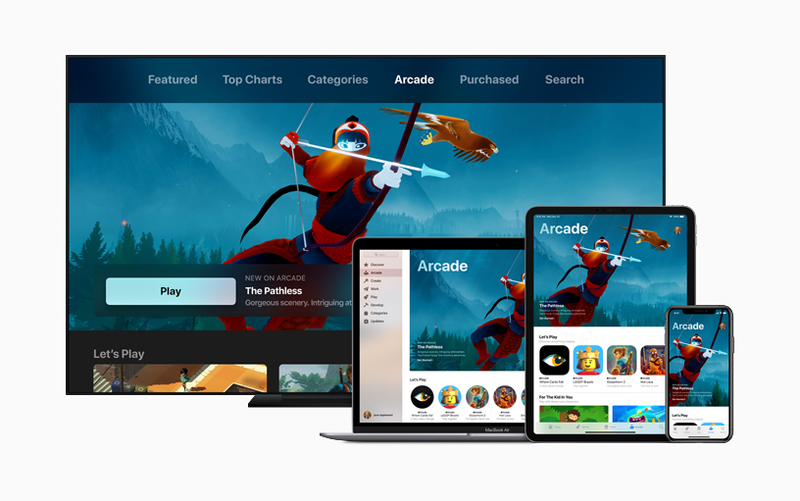 Known officially as Apple Arcade, it’s a service subscription service run and administered by the minds in Cupertino, with a catalog of 100+ games available to download and play. Similar to Xbox Game Pass and PlayStation Now via Xbox One and Playstation 4 on their respective platforms, Apple enters the subscription market with a strong lineup of developers such as SEGA and Konami taking part in the program. The service won’t just feature new titles, but it’ll have exclusives found only on Apple’s line of devices. You’ll be able to play on your iPhone, iPad, Mac, and Apple TV and pick up where you last left off, no matter the device you were using previously. Subscribers to Apple Arcade will not feature ads or require any additional in-app purchases. The service is scheduled to launch in Fall 2019 in over 150+ countries. “The Pathless” from Annapurna Interactive, launching on Apple Arcade later this year. “Hot Lava” by Klei Entertainment, launching on Apple Arcade later this year. “Where Cards Fall” from Snowman, launching on Apple Arcade later this year. “The Pathless” from Annapurna Interactive, launching on Apple Arcade later this year. A still from SEGA’s Sonic Racing game for Apple Arcade. “Enter The Construct” by Directive Games Limited, launching on Apple Arcade later this year. “Sonic Racing” from SEGA, launching on Apple Arcade later this year. “Beyond a Steel Sky” by Revolution Software, launching on Apple Arcade later this year. “LEGO Brawls” from LEGO, launching on Apple Arcade later this year. “Oceanhorn 2: Knights of the Lost Realm” by Cornfox &amp; Bros., launching on Apple Arcade later this year. “Projection: First Light” from Blowfish Studios, launching on Apple Arcade later this year. “Enter The Construct” by Directive Games Limited, launching on Apple Arcade later this year. Apple Arcade will introduce an innovative way to access a collection of brand new games that will not be available on any other mobile platform or in any other subscription service. Rather than pay up front for each game, a subscription to Apple Arcade will give players the opportunity to try any game in the service without risk. Since every game includes access to the full experience, including all game features, content and future updates, no additional purchases will be required. Every game will be playable offline, and many games will offer support for game controllers. Because subscribers can play Apple Arcade games across iPhone, iPad, Mac and Apple TV, they can pick up where they left off in a game, even if they switch devices. New games will be added to the service on a regular basis.